Spending time at the University of Rochester’s Rush Rhees Library means feasting on an ever replenished smorgasbord of historical, philosophical, literary, visual — and edible — delights. Last Thursday was a perfect example when the Persian Club held a celebration of the New Year, 1396, in the Hawkins-Carlson Room. 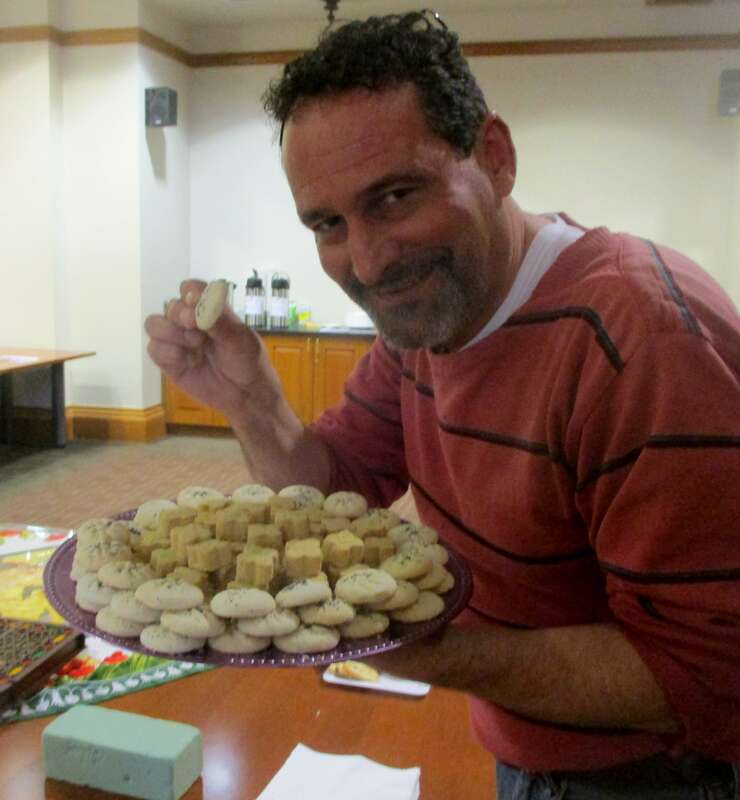 To my good fortune, about 100 members of the University of Rochester Persian community and friends were serving traditional cookies, treats, tea and entertaining us with ethnic dances from various regions of Iran. 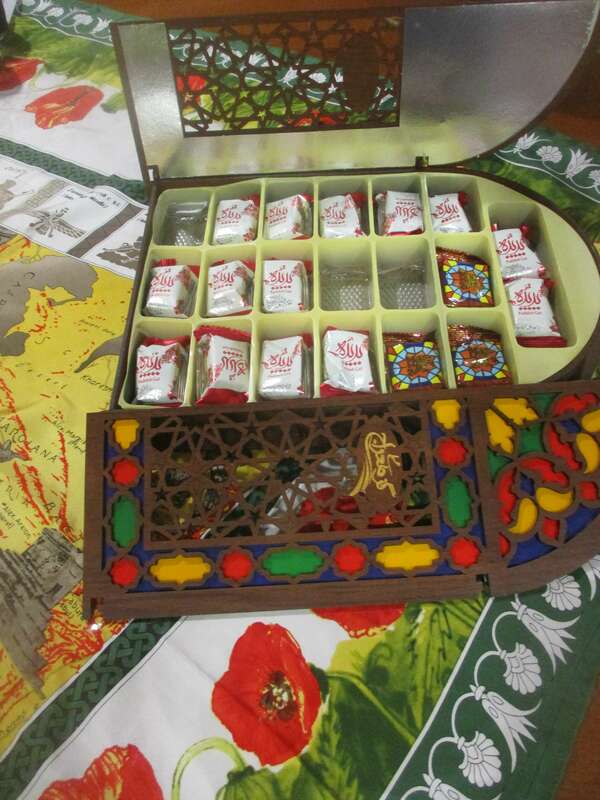 Traditional Persian candies in box representing a mosque. The Club Co-Founder and VP of Publicity Nikki Rezania explained what I was seeing. As Nikki says, the fundamental purpose of URPARS is to celebrate and share the rich history of Persian culture and to shed light on how relevant the culture actually is to the Western world as well. Growing up, Nikki always found that her history books did not give the Persian Empire the recognition it truly deserves. She recalls reading pages on pages about the contributions from the Roman and Greek Empires to human civilization, while only a small paragraph was dedicated to the Persians. This in part inspired her to start URPARS. Nikki says starting the club was not an easy process; it was a long, but comical, journey. Through social media, Nikki became acquainted with another Persian U of R student, Ali, the summer before entering her freshman year, and they contemplated starting a Persian student organization. Once she set foot on campus, her “Persian radar” kicked in. Nikki attracted some of her first members by simply overhearing a Farsi conversation in the Starbucks on campus. After immediately recognizing her language, she rushed over to the group of students and introduced herself. The Persian students were slightly taken aback by the eager freshman who didn’t look Persian. 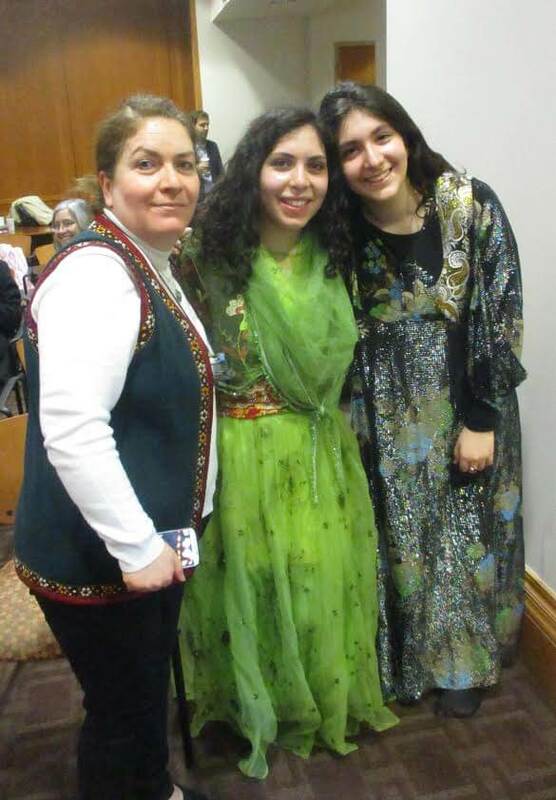 Left to right: Yasaman’s mother, Yasaman (President of URPARS), and her sister Maneli. Nikki’s radar continued to pull in more and more members as she persistently scouted out as many seemingly Persian students she could find. With time, URPARS finally became an established student organization at the U of R. URPARS is currently comprised of both undergraduate and graduate students, including faculty of the medical and dental schools. At the New Year’s celebration, Nikki was quick to express her love of traditional Persian culture. Nikki was raised in Chicago by her parents who came to the United States before and shortly after the Iranian Revolution of 1979. 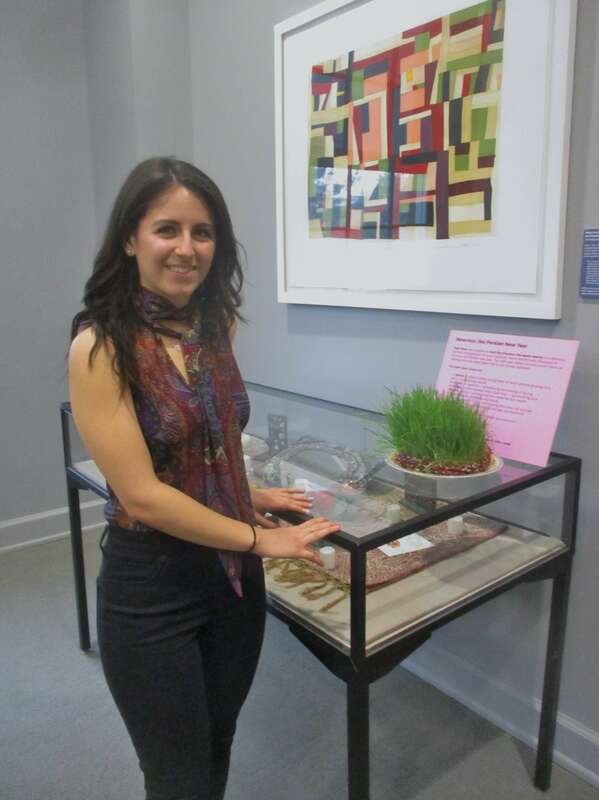 In Chicago, Nikki, was immersed in the food, music, and humor that comprise Persian culture. As she says, her dad taught her the proud history of her origins almost as soon as she was out of the womb. Nikki under the Iranian flag (top, middle) in Hirst Lounge in Wilson Commons. Nikki learned that the Persian king Cyrus the Great (559 – 530 B.C.) codified the doctrine of human rights, written in cuneiform on baked-clay tablets. In 1971, The UN hailed it as the first charter of Human Rights in the world. The Cyrus Cylinder served as a model for religious tolerance in a multi-national state, inspiring many political thinkers, such as Thomas Jefferson when writing the US Constitution of 1787. Her father also regaled her with stories of famous Persian women who ruled domains and won battles in Ancient times. When we went to for a photo-op of Nikki under the Iranian flag in Hirst Lounge in Wilson Commons, I asked her what constitutes being Persian today. To be Persian means to carry with you centuries of mathematicians, Sufi poets, and polymaths like Avicenna. For Nikki, another defining characteristic of Persians is excessive hospitality and generosity. This notion in Farsi is called “tarof.” Nikki remembers dinners at local Chicago restaurants where her father and uncle would heatedly insist on picking up the check — even bickering in the bathroom. This generosity was on display in the Hawkins-Carlson Room as we we loaded up on the cookies and tea. Scott "Fitz" Fitzgerald; A Familiar, Friendly Personality in our Community.